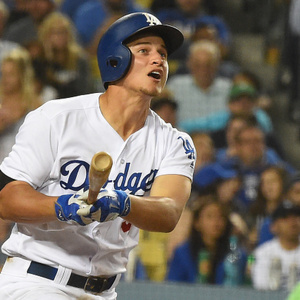 How much is Corey Seager Worth? Corey Seager net worth and salary: Corey Seager is an American professional baseball player who has a net worth of $3 million. Corey Seager was born in Kannapolis, North Carolina in April 1994. He is a shortstop who bats left handed and throws right handed. Seager played at Northwest Cabarrus High School and committed to the University of South Carolina before being drafted #18 by the Los Angeles Dodgers in the 2012 Major League Baseball Draft. After playing in the minor league Seager made his MLB debut in September 2015 and has spent his entire career with the Dodgers. In 2016 he was selected as an All-Star. He became the youngest opening day starting shortstop for the Dodgers since Gene Mauch in 1944 and won the National League Rookie of the Month Award in June 2016. Seager received a $2.35 million signing bonus after being drafted. His salary during the 2019 season was $4 million.